Of course I have a favourite child. It’s impossible not to. Before you judge me as an awful mother, I do love my three children equally. But on some days, hell some minutes, I like one more than the others. Of my three boys, which is my favourite? Basically the one that’s not chucking a tantrum or screeching demands at me. There’s no simple answer, my favourite child is constantly changing. At 5.50am – My favourite child is the one who shuts the dishwasher door, telling his little brother that ‘it’s sharp’ . 6am – The child that is still sleeping, he’s the favourite. You can’t cause your Mum angst when you are sleeping. 6.35am – My favourite child is the one sitting in his high chair tucking in to his second bowl of cereal, without complaint. 7.35am – the one who pulls at his clothes and says ‘me, me’ when I ask which kid wants to get dressed. He mucks around and refuses to actually get dressed, but at least he was enthusiastic. 8.40am – the kid who pipes up from the backseat of the car saying ‘you smell beautiful mummy’. How can I resist that sweetness? He’s my favourite child. 8.50am – the son who happily trots off to school and is out of my hair for the day. He’s the favourite, for now! 9.30am – the kid who smears sudocream everywhere, while making sure there’s a good coverage on the baby on the packet of wipes. It’s a red hot mess, but it’s cute that the baby was given special attention. That kid is my favourite. 12pm – the one who remains asleep as I transfer him from the car to his cot. That’s a parenting miracle. Good stuff buddy, you’re my favourite child! 2.15pm – the kid who is happily drawing his 30th picture of the day. All he needs is a constant supply of paper. The kid that is easy to please, surely that makes him the fave. 3.20pm – the kid who gives his $2 change from the Mother’s Day stall to a girl in his class to spend at the canteen. With such a generous heart, he must be my favourite child. 3.50pm – the kid who chats to his swimming teacher throughout the entirety of his swimming lesson. Seriously, what is he talking about? That kid makes me laugh, he’s my fave. 3.55pm – the one who is clearly the youngest in his swimming class but is trying his absolute hardest to keep up with the other kids. A+ for effort kiddo, you’re the favourite. 5.45pm – the kid with a poo in his nappy who insists that Daddy changes him. That’s a win for me and makes him the favourite child. 6.10pm – the kid who requests broccoli with his dinner and gobbles it up. He’s the favourite child, don’t you think? 7.20pm – the child that’s asleep, having dozed off at my breast. Him, he’s my favourite child. 10.44pm – the kid with the nightmare, because he still needs his mummy to feel safe. Even though he’s totally freaked out, he’s my favourite. My first born, the one who made me a Mum, who is outgoing and makes friends wherever he goes. He’s my favourite, obviously. Oh, but what about the middle child? Always a diplomat, relaxed and chilled out by nature. How can I doubt that he’s my favourite? But the littlest lad, who completes our family, quick to laugh and full of adventure, with those big blue eyes. He has to be the favourite. You see, I am conflicted. If I had to have just one favourite, well I wouldn’t be able to decide! 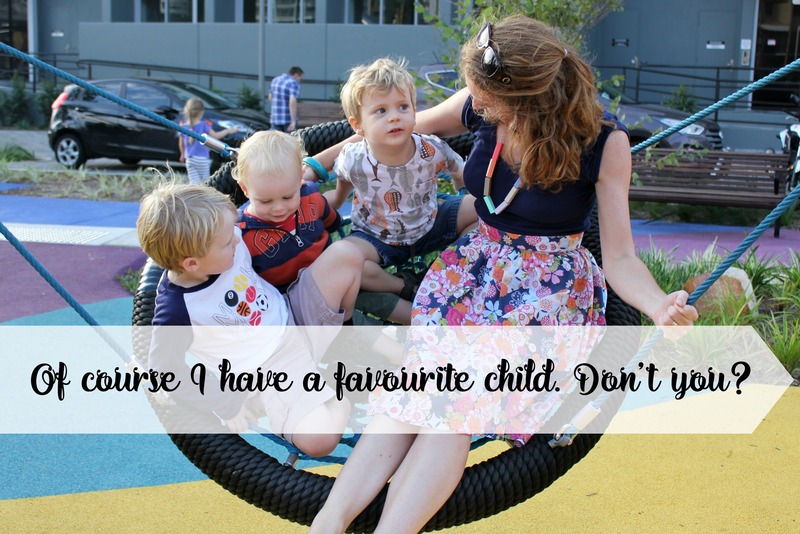 Do you have a favourite child? Apparently most parents really do have a favourite! Oh yes, it’s easy for the ‘favourite’ to be the one that’s easiest to get along with! Lol, the one that naps. Always! Absolutely Rebecca, the less grief they give you the more you like them! My favourite changes with age! Some ages are just easier to deal with than others. Right now my favourite is that one that is NOT yelling from his bedroom and refusing to go to sleep! I think I agree with Haidee@Maybe Baby Brothers, my favourite is more about the age. Thankfully my youngest is nearly four and (mostly) over his threenager antics – 3 is most definitely NOT my favourite age! My favourite changes daily. And then there are days I like none of my kids. Ha, oh yes I get that! My kids sorted this out for me. My middle daughter declared herself the perfect child. My oldest daughter scoffed that no one likes perfect people because they’re annoying, so she proclaimed herself the favourite child. Mr Busy said he was “just the boy”. Actually, as it turns out, he’s the youngest and after twenty years of parenting I’m tired. He’s the spoilt one! The youngest child is always the most spoilt, lucky them! Yes indeed Vanessa, you can’t help but like the one that makes your life easier! It is so true of course we have a favourite and on any given day, hour, minute it could be a different child. I do have a soft spot for my “middle” child I say it like that because 2 & 3 are actually twins so my middle is only the middle by 1min but sometimes the bookends do gang up on her because they get a great reaction. She is a lot like me but then so is her twin sister. As I say my favourite is most likely the one who annoying me least or the underdog at that time! I to have a soft spot for my middle child, possibly because we’re so similar! I love this post. It’s so true. Thanks Becky, glad you enjoyed it! Exactly, it’s simply impossible to pick a fave! Thanks Rachel, absolutely how it goes here! Sounds like your Mum was very clever! Wish I had that ability. Totally feeling this- my favourite is distracting the younger so mummy can drink the coffee she made me!! Oh wow, my favourite would be hands down the kid that makes it possible to drink my coffee in peace! Well often with three I struggle to find a favourite, so I totally get that! Aww, thanks! It’s a bit hard to not have a fave every now and then. 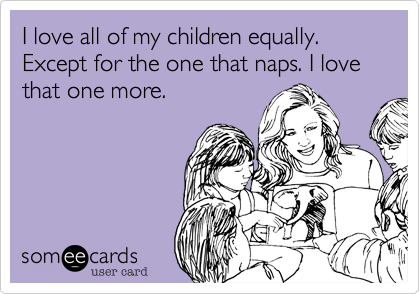 Me too Shari, I’d especially love a napper if they napped for longer than 40 minutes!! This is sooo cute! Love this so much! What a lovely comment, thanks ever so much. 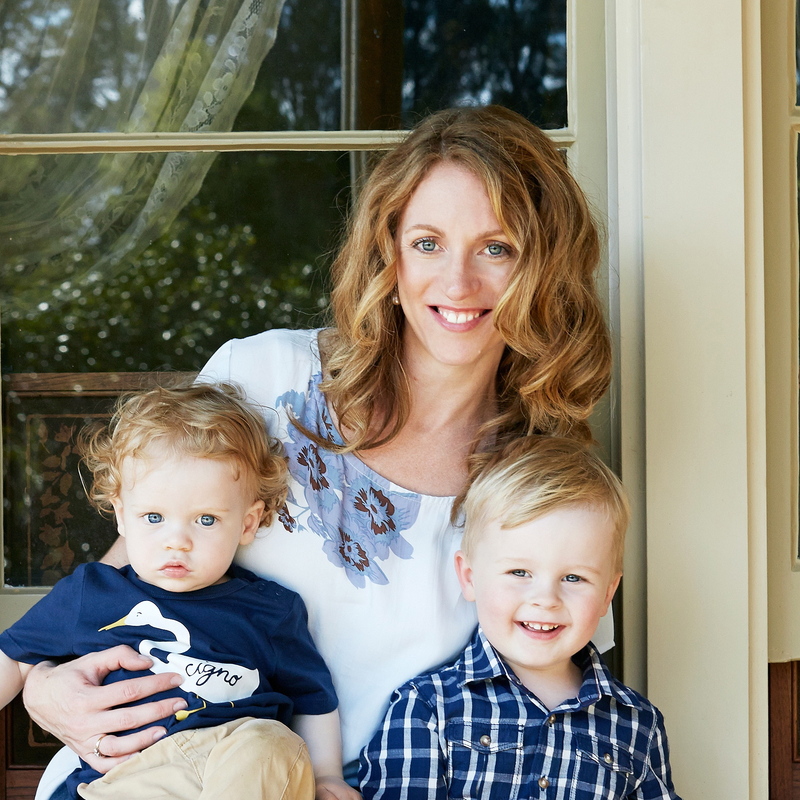 Thanks Renee, all the best with the arrival of baby number 2!